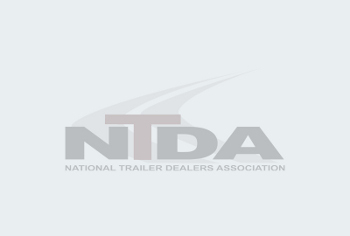 Truck freight accounted for 62.8% of all U.S. transborder freight. 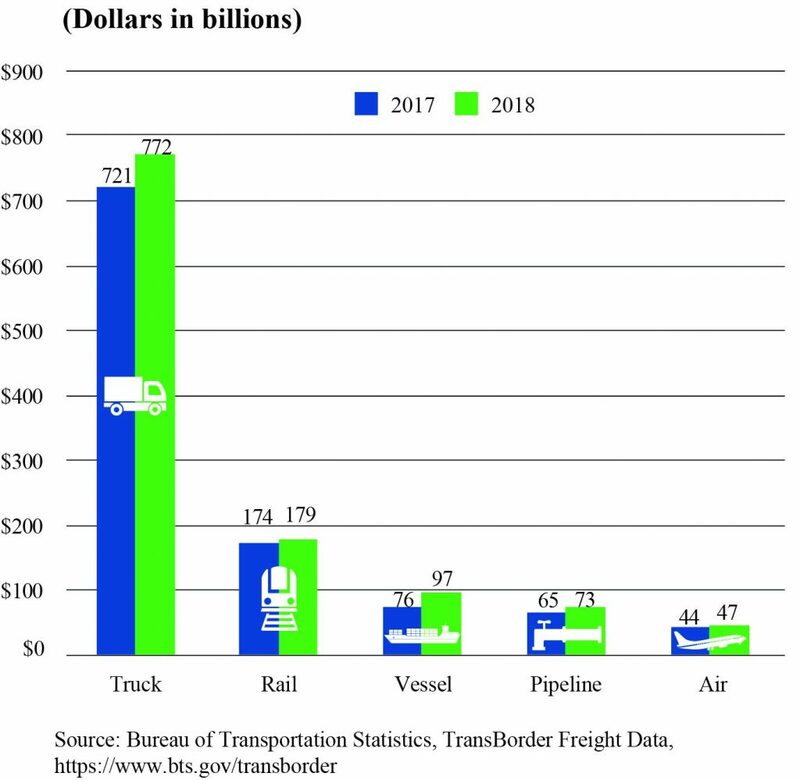 Rail accounted for $179 billion, or 14.6% of all transborder freight. Of this, $83 billion was for motor vehicles and parts. Almost all (99.4 percent) of pipeline freight between the U.S. and Canada were mineral fuels, primarily oil and gas. Most of these freight flows were on pipelines linking Canada and the American Midwest. Of freight by vessel between the U.S. and Mexico, $38 billion, or 57.5 percent were mineral fuels, primarily oil and gas shipments between Gulf of Mexico ports in the U.S. and Mexico – with over half of those shipments going through Texas ports.